FPCL in its endeavor to maintain a healthy and accident free work environment for all its employees, port users and visitors, recognize the Government of Fiji Health and Safety at Work Act, 1996 and remain fully committed towards its implementation and compliance. 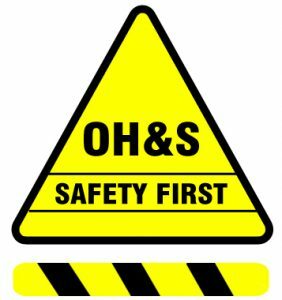 During the last audit of the Ministry of Labour National Occupational Health & Safety Department on 1st December 2005, it was declared that all Fiji International Ports of Entry managed by FPCL are safe, secure and fully OHS compliance, and in accordance with National and International Regulatory Standards. It is a fundamental requirement of Fiji Ports that Its business is conducted safely for the benefit of all employees, customers and other people in or near the work place. All Health and Safety practices will be undertaken in accordance with relevant legislation, codes of practice and safe operation procedures. This focuses on safety of transporting LPG, explosives etc where (international) legal and policy initiative addressing dangerous goods mainly aim to improve external safety of countries and their citizens and environment involved with transport of dangerous goods. Hot work notification is a requirement of the Sea Ports Management Act 2008. This is to ensure an adequate level of safety, planning and execution of hot work on board ships is maintained. Officers approval for Hot Works to proceed. Applications are for the duration of two (2) days. Inspection done before, during and after completion of Hot works.